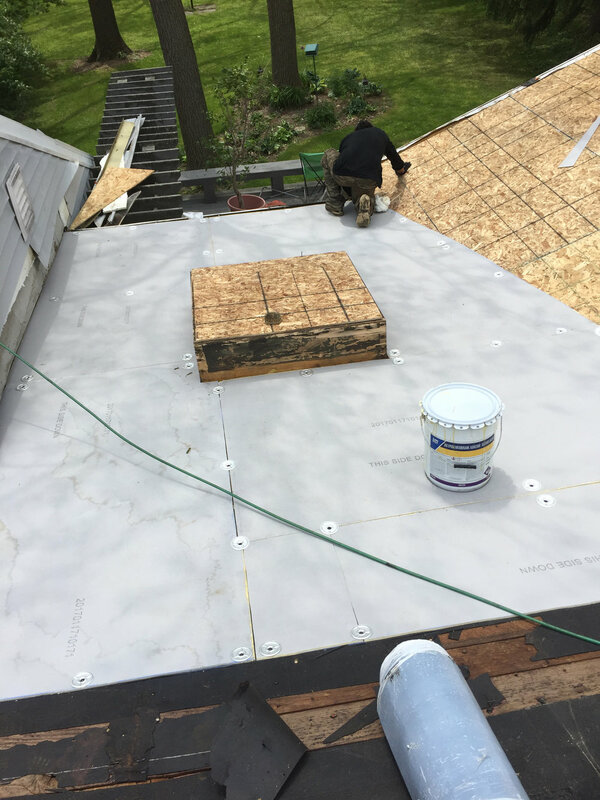 The Neighborhood Roofing crew installed a complete roofing system in Ann Arbor. The shingles part of the roof ties in with the EPDM flat roof. The TAMKO Thunderstorm Grey shingles replicates the beautiful, natural aesthetics of wood shakes, without the fire susceptibility of real wood.